We started out as friends while working together at Memorial Sloan Kettering Cancer Center on the Bone Marrow Transplant Service. Valkal, as a clinical pharmacist, and Emily, as a Nurse Practitioner. Through a few twists of fate and the shared love of wine, we realized that this was more than a friendship, but something greater than the two of us could imagine. We quickly became inseparable, creating lifelong memories over good food, great wine, travel adventures, Dashboard Confessional, and the love of Flutie and Brooklyn (Emily's, and now our, cats). From the moment we realized we were more than friends we knew we would be together forever. 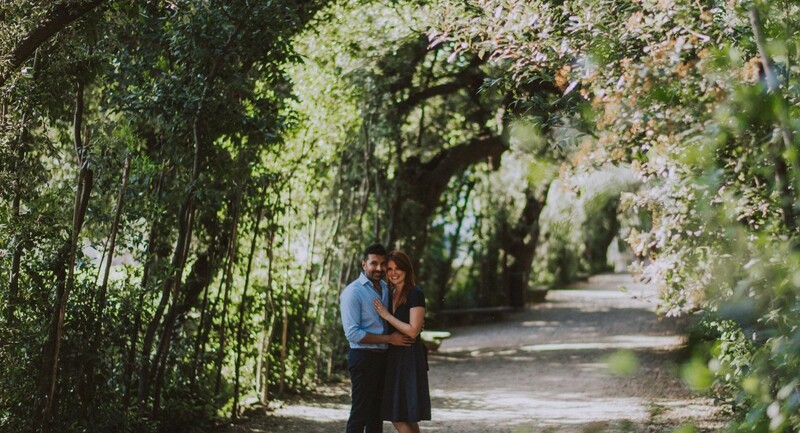 We took a trip to Italy in April 2018 where Val proposed in the Boboli Gardens in Florence after sightseeing in Rome and hiking in Cinque Terre. Photographers were waiting in the wings to capture this perfect moment and the start of our forever. We are looking forward to sharing our wedding day with you and all the beautiful moments ahead of us. Thank you for your love and support every step of the way.